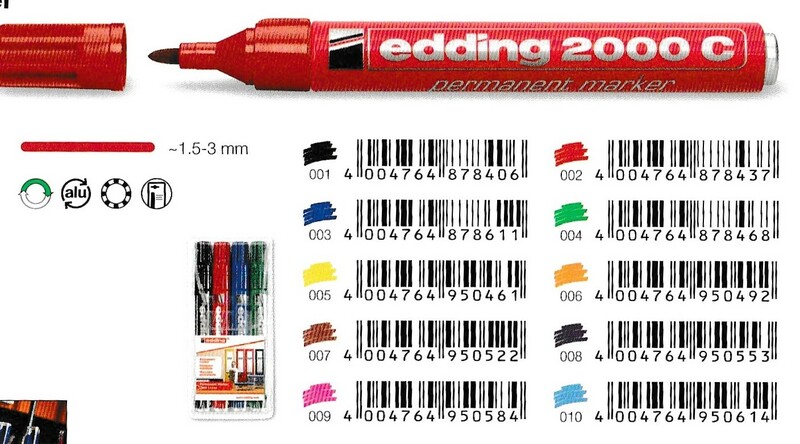 A vast collection of markers by edding can be obtained through Windel International. Edding Paint Markers, in matte or gloss, have outstanding adhesion even on smooth or porous surfaces. They are extremely wear-resistant on almost all surfaces. Waterproof, quick-drying edding 750, 751 and 780 markers are heat-resistant up to 400 degrees C. Valve-controlled ink flow. Ink with no added toluene/xylene. Finally, edding's Aerospace Marker 8404 is low-corrosion and resistant to many solvents and paints. It is ideal for writing on components and is the only marker approved by British Aerospace.